When innovation meets Latin cuisine, you get Café Habana. There’s no better place to spice up your life (and taste buds) than the famous Café Habana located in Malibu Lumberyard. If you’re on the hunt for a restaurant that serves all their menu items with local ingredients, than this place is just the spot. Come on in and enjoy a unique meal in a relaxing yet exotic atmosphere. Café Habana is a combination of a happening bar scene and a laid-back restaurant; there is a place here to satisfy all moods. Cafe Habana is an authentic Cuban/Mexican cafe in that maintains a welcoming environment to both locals and visitors of Malibu. Offering delicious Latin cuisine infused with Mexican and Cuban flavors, Café Habana offers meals for both lunch and dinner and a full bar with signature cocktails, a variety of beers and several locally sources California wines. Here, you can always count on two things to stay consistent; the food and the top-of-the-notch service from each and every staff member. If you’re stopping in for a meal, be sure to try their savory Fish or Shrimp Tacos, their homemade, fresh Guacamole and/or the Roasted Corn, which is a popular among the regulars. If you’re stopping by for a good time, be sure to check in with their event calendar. You can’t miss out on their exciting events and happening right in the restaurant from live entertainment to karaoke, and even celebrity appearances from time to time. We can guarantee from the moment you step foot in Café Habana, you’ll be transported to an exotic land, and you won’t want to come back! 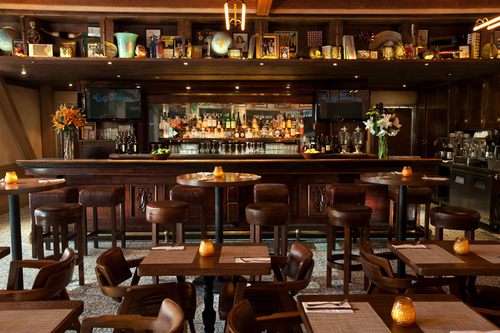 Be sure to stop by Café Habana the next time you find yourself in the beautiful Malibu. For more information, please call Café Habana at: (310) 317-0300 or visit them at: 3939 Cross Creek Rd, Malibu, CA 90265. Copyright 2014 © MyMalibuBeach.com - All rights reserved.